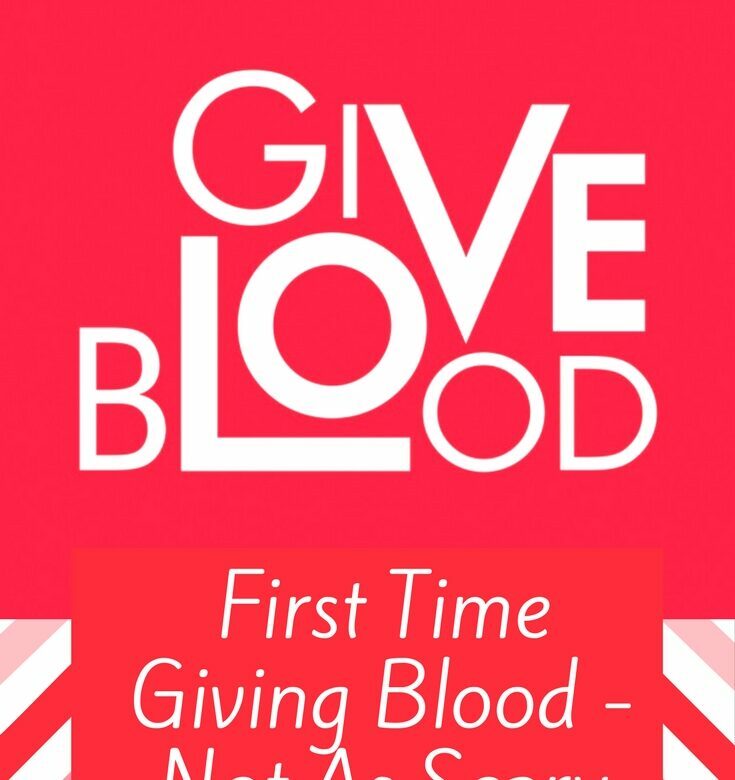 Giving Blood For The First Time – Not As Scary As I thought! After making numerous appointments to give blood over the past year, I finally managed to make it to my first appointment today! I’ve wanted to give blood for years but always been a bit nervous. I don’t know why because I’ve had to give blood loads of times for blood tests so I knew it wouldn’t hurt. It was probably just a fear of the unknown. I set up an account on the NHS Give Blood website and made my first appointment. I’ve had to cancel a few appointments because each time something happened like illness or childcare problems etc. You can’t give blood if you’re starting with a cold (you can give blood at the end of a cold) or if your doctor has ordered blood tests. I started with a cold twice when my appointment was due and the third time my doctor had ordered blood tests to check my thyroid. I arrived on time today and got the super wonderful husband to go with me because I was too nervous to go in alone! I needn’t have worried. It was a very friendly atmosphere and it was all very easy. I had to read through some information while drinking a large glass of juice then I was called into a little cubicle. A lovely lady went through the form I’d received in the post. It was all about my medical history. Prior to going, I wrote down my medications, previous serious illnesses and investigations performed by the hospital; if I had to remember while I was there knew I’d get a brain block! I had to have a nurse come to see me due to my medical history. I told him about the pulmonary embolism I’d had in 2009 and the colposcopy a few years ago. That was all fine and after a quick blood test from a prick to my finger, I was told I was able to donate. I had to wait a few more minutes before being called. It took a lot less time than I thought to give blood. I sat there opening and closing my hand and tensing my leg and bum muscles. It helps with your blood pressure apparently. It took about 10 minutes and I was done. I was given some squash and I picked a packet of biscuits. There were crisps and raisins to choose from as well. It took around an hour from arriving at the sports centre to leaving. I’ll be giving blood again in September. 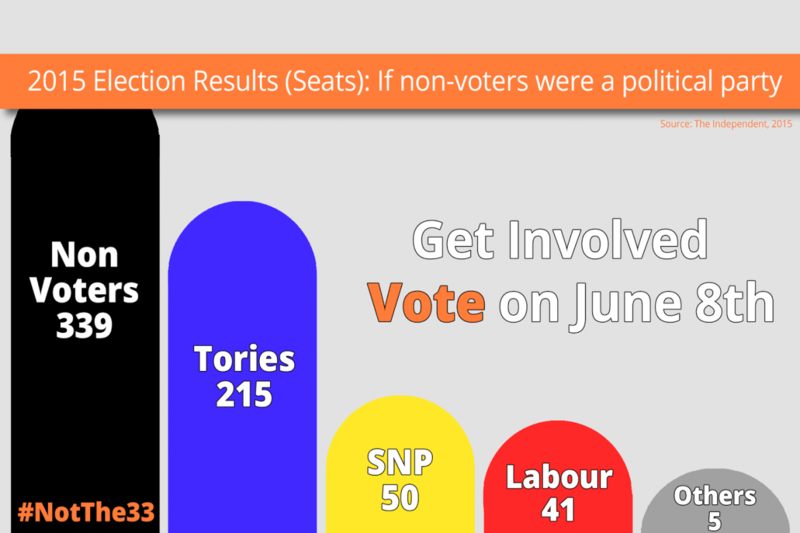 Today is the last day you can register to vote in the next General Election on June 8th. At the last General Election in 2015, the turnout was 66.1%. This figure includes spoiled ballot papers. That means that 33.9% did not vote. It also means that the number of people who did not vote outnumbered the votes tallied by any one individual party. Too many people think that voting isn’t important. Too many people think that their vote can’t make a difference. Yet these figures show how votes DO make a difference. If all those who think it doesn’t make a difference actually voted, then a difference could by made. In the Local Elections 2 weeks ago, a seat in South Blyth was awarded by drawing straws after there was a tie between the two candidates. The turnout was just 26.6%. HomeSense has partnered with renowned fashion and portrait photographer Rankin to create exclusive aprons for Red Nose Day 2017. The apron features a selection of unique, quirky and quintessentially British animal portraits including Rankin’s own dog. Red Nose Day and HomeSense are official partners for the third time. Iconic photographer, Rankin, has photographed a host of celebrities wearing the apron. The Hairy Bikers, Si King, and Dave Myers are fronting the campaign. The bikers will be supported by a whole host of celebrities including, Nadine Coyle, Pearl Lowe, Nadiya Hussain, Jodie Kidd, Susanna Reid, Kimberley Wyatt, Lesley Joseph & Linda Robson, Una Healy, The Hemsley Sisters, Ella Mills (Deliciously Ella), Fay Ripley, Vogue Williams and Tim Lovejoy. When I first asked myself which Disney character I identified with, my first thought was, I have no idea! It has to be Belle from Beauty and the Beast, purely because of her love of books. I can totally identify with her when she sees that library and I’m always totally jealous! Beauty and the Beast is one of my favourite movies. I sing along badly! with all the songs and cry with her when she thinks the Beast is dead. I’m taking part in #Blogtober16. It’s a post every day during October with a different prompt. Tomorrow find out what superpower I’d most like to have. 4) The husband calls me his precious little swamp duck! 2) The Harry Potter books. 4) On the beach, eating fish and chips! 3) My mum coming to dye my hair. The amount of grey is now horrendous! 4) My absolute favourite time of the year…..CHRISTMAS! 1) Stop fighting with your sister! 4) Go and ask your dad!I tag…anyone who fancies sharing their own four things! I’ve loved my iPhone since the first one I had and I couldn’t see myself ever changing to another phone but just lately I’ve been getting a bit annoyed with it. It was just little things at first but this past week it’s been doing my head in. I’ve not been receiving text messages and I didn’t realise for a couple of days until Ant asked why I wasn’t replying to the texts he’d sent. I could send texts, no problem but couldn’t receive them. At first, I thought it was just texts from Ant that I wasn’t getting. It turned out it was all texts from everyone. I googled the problem and watched YouTube videos and read help forums and reset my iPhone to factory settings and sat chatting to an O2 guru for over half an hour trying to get it sorted but nothing worked. He said I’d have to take my phone into one of their shops so someone could have a look at it. I thanked him for trying to help and ended the conversation. Ant suggested it wasn’t a problem with my phone, he thought it was a problem with the sim card. To test his theory we swapped sim cards and sent texts to each other’s phone. My iPhone received the text straight away so that confirmed it wasn’t the phone. We swapped sim cards back and I resigned myself to the fact that a trip into town was in order. I wish I’d known it was as easy as changing sim cards. It would have saved me all that time googling, watching, reading and typing! You probably know I really dislike our downstairs shower room. It’s very pink and very 80s and I’ve had enough of it. 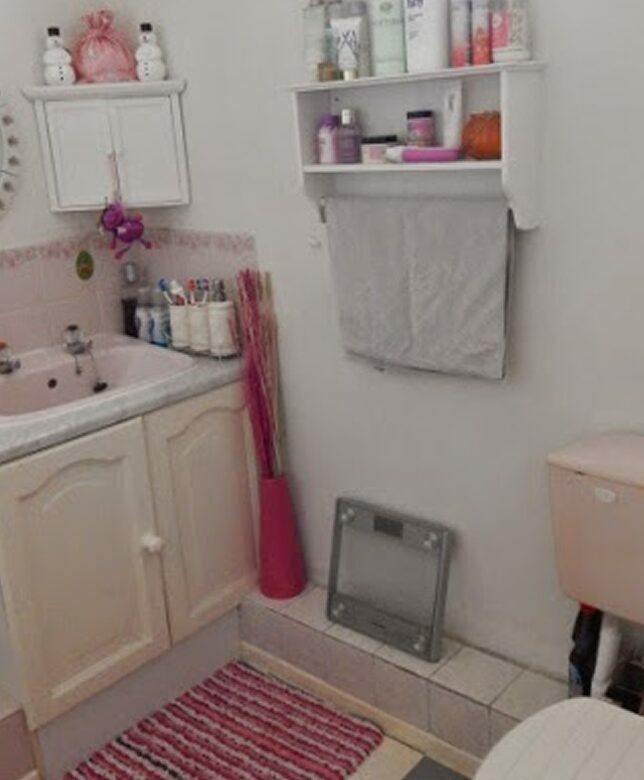 I’ve been wanting to save for a new one since we moved in but I haven’t had a chance yet because something or other always seems to need doing first so I’m entering Tile Mountain’s blogger contest to try and help me on the way to a new bathroom! When we moved in there was a rusty soap dish near the sink. I tried to get it off but the screw wouldn’t unscrew. I ended up having to pull it off and I damaged the tile in the process. Ella gave me one her Moshi thingys to cover the mess! I’ve made a Pinterest board with some of my favourite tile choices and some design ideas for inspiration. I really like the Premium beige Slate effect range, namely the Bengal Winter wall tile and the Metro white. I’m always browsing Pinterest trying to find my dream bathroom design and I’ve decided I want a countertop sink on a rustic unit. I did have white cabinets picked out with black counters but I want something less modern and with more character. This bathroom, from one of my favourite lifestyle bloggers, Jenna Sue is gorgeous and I’d be over the moon with a bathroom like this! 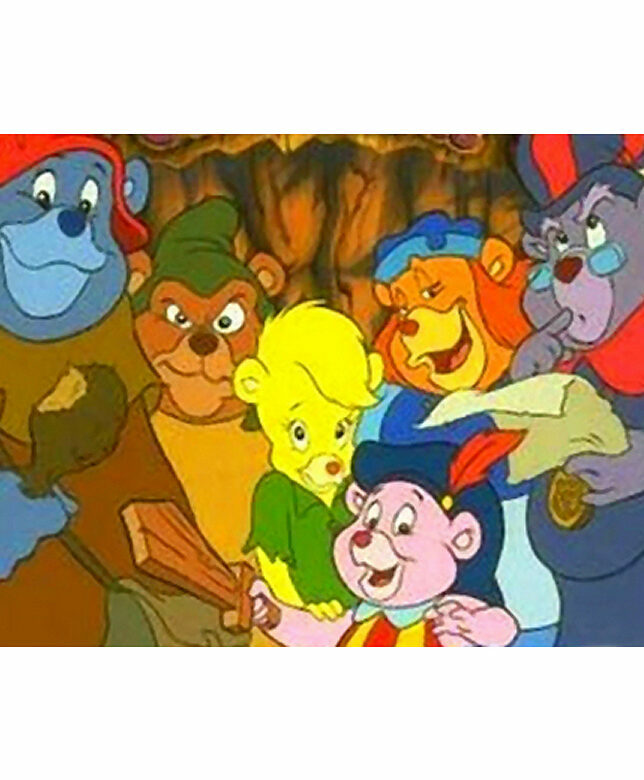 80s cartoons – I got all nostalgic when I saw a video of The Gummi Bears cartoon yesterday on You Tube and subsequently spent the next hour or two searching for the cartoons I used to love when I was a child in the 80s. It was hard picking just 10! They’re not in any kind of order because it was too hard to pick a favourite. 10 – He-Man and the Masters of the Universe. I found I can still remember the opening lines of He-Man and I found myself talking along!